Audiences gather for all sorts of reasons in today's business world. Whether your team is managing the event, working with it as a sponsor, or simply attending as a booth vendor, our expert staff knows how to encourage, manage, and cultivate the digital conversation that is relevant to your business. 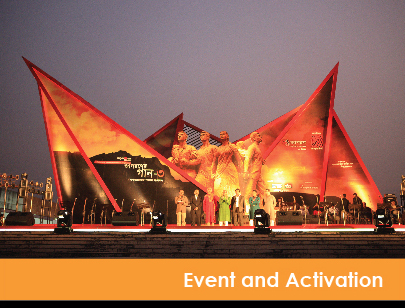 We believe that an event activation strategy is a three step process with many tactical elements; pre-event implementation, on-site execution, and post-event follow-up. We examine how attendees, sponsors, speakers, industry peers, vendors, and journalists interact online and offline, looking for methods of distributing your brand message to specific target audiences and then capturing relevant inquiries for your business. At the event level this allows us to examine individual components and match them to like-minded organizations at the event. It also includes researching how similar events gather audiences to help our clients strategize around trending topics and drive attendee interest. At the company level it allows us to develop strategic plans to capture topical interest, gain additional exposure, and competitively place themselves into the right opportunity. Our goal is to be faster, more nimble, and properly positioned with target audiences to win market share.